People love to eat out, but it can be hard to identify the healthier or lower calorie items. The Healthy Dining Program aims to make this a little easier. 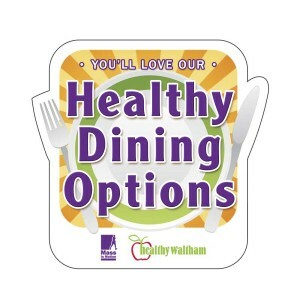 A statewide program of the Massachusetts Department of Public Health, the purpose of the Healthy Dining Program is to encourage local restaurants to help their customers eat healthier by making some simple menu changes. Examples of the types of changes are to allow customers the option to: substitute a salad or vegetable instead of French fries; low fat or skim milk instead of whole milk or cream; baking, grilling or steaming instead of frying in oil, etc. Restaurants must also be in compliance with health code and permitting regulations. The Chateau, Waltham, recently became the first restaurant in Waltham to join this program. Any restaurant may apply to join the Healthy Dining Program. 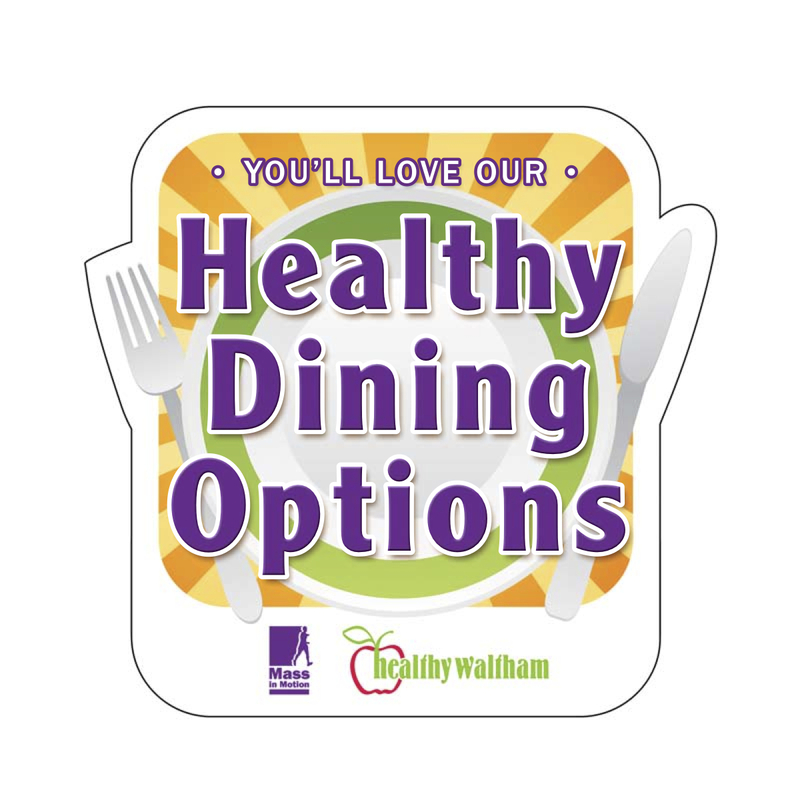 Restaurants that are approved will receive a Healthy Dining window decal and may be listed in Healthy Dining websites and directories. Thank you for helping your community eat healthier. Questions may be directed to the Healthy Dining Coordinator for Waltham, Leslie Glynn, at lglynn@healthy-waltham.org or 781-891-4700.